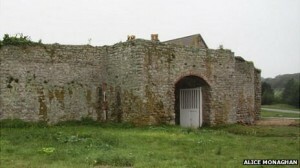 Up until 2011 virtually no trace of Roman occupation or influence had been found in Alderney at all. It was therefore quite a surprise when local archaeologists discovered that an overgrown site is one of the best-preserved Roman military structures in the world ! Island tradition had long suggested the site, known as the Nunnery, dated back to Roman times, although excavations since the 1930s had always proved inconclusive. 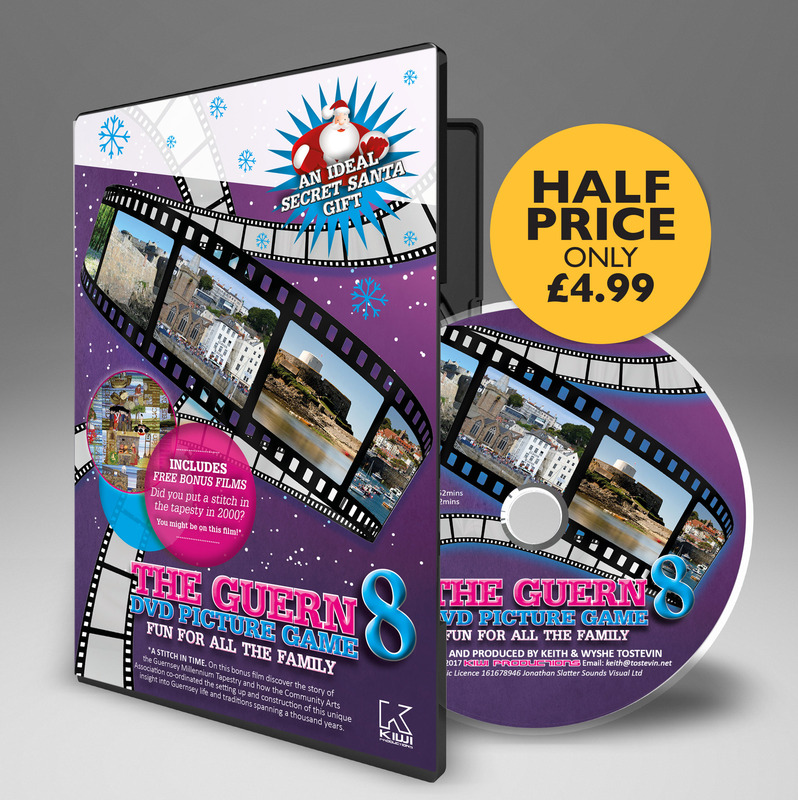 A joint project between Guernsey Museums and the Alderney Society was set up in 2008 to find the answers. 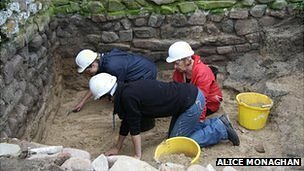 Over four August bank holiday weekends in 2011, a team of a dozen volunteers undertook various excavations to determine the history of the site. In 2009 initial excavations proved there was a Roman building inside the Nunnery and it was suspected it was a tower as all the northern English forts have a tower in the middle. In 2010 the archaeologists went back specifically looking to prove there was a tower, which they did. They found that the walls were an impressive 2.8m (9ft) thick (as thick as Hadrian’s Wall). They were, however, unsure how high the structure was, but it would certainly have been a very big structure given the walls thickness. The fort was in an extremely good state of preservation, better preserved than many of the other small Roman forts in Britain. The fort was probably built to guard the entrance to Longis Bay, Alderney’s only natural harbour where it was highly likely that Roman warships would have been based. It is also known that a small Roman settlement existed in Longis bay now lost underneath the sands of the bay. Alderney is only 8 miles from the French coast and is in an ideal location if you want to control the waterway between the island and the mainland. The fort was constructed very late in the Roman period, during the latter part of the 4th Century at a time when the Romans were becoming increasingly nervous about stability and the barbarian threat on the fringes of the Empire. It was probably built as part of the wider fort building programme going on throughout the Empire at this time. After Roman occupation the site was extensively built upon. It medieval times it was a fort and barracks, and later the governor’s residence, a farm, a German barracks during World War II, British military accommodation and then finally holiday homes.